Give us a call 415.389.1900 or email us to setup a reservation! Try before you buy! At Tam Bikes we provide a variety of carbon demo bikes from Santa Cruz, Specialized and Yeti. Our demo bicycles range from full suspension mountain bikes all the way to mixed terrain gravel bikes. A new bike is a big deal; we believe that you should be confident in your purchase. A bike may handle totally different from reviews you’ve read or how you may have interpreted geometry. 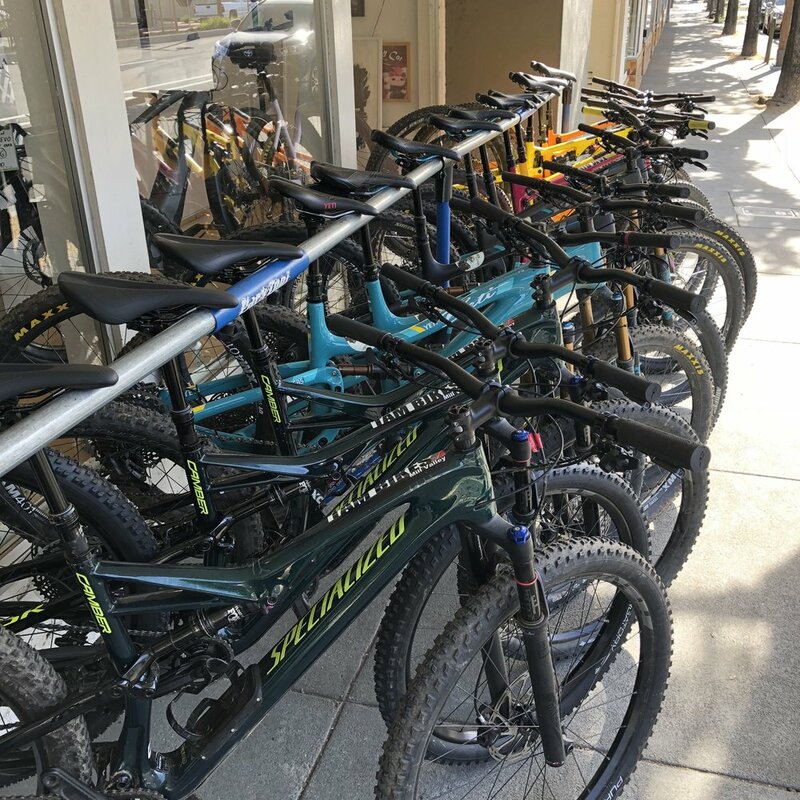 Demoing from our fleet allows you to experience how each bike handles on the terrain you enjoy complimented with your riding style. Do your homework, ride as many bikes as possible! Our demo bicycle rate is $80 per day for same day return and $120 per day if you’d like to keep the bike overnight. Up to three demo credits may be applied toward the purchase of your new bike!